Anne Arundel County, Maryland (MD) police this week inspected dozens of tractor trailers on the highways. Forty-two violations were noted and four trucks were towed from the inspection station. Police officers were doing Operation Safeload from 9 am until 2 pm on the north and southbound lanes of Solomons Island Road in Edgewater MD. Police also did patrols to target trucks that were avoiding the check points. 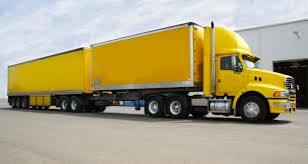 Police stated that 275,000 tractor trailer accidents happen every year, and about 3500 are fatalities. One out of 10 crashes involves a commercial vehicle. Almost 99% of fatalities in truck crashes occur in a passenger vehicle. Our trucking accident law firm is glad to see that police are focusing their efforts on truck safety. While tractor trailers are required to follow the regulations promulgated by the Federal Motor Carrier Safety Administration, many trucking companies flout the rules to line their pockets with cash. Many trucking companies do not comply with Section 393 of the FMCSA rules, which has to do with the parts and accessories needed for safe operation of trucks. Our law firm sees many legal cases where a truck has devastated an innocent family in an accident, but the truck had underinflated tires, bad brakes and outdated safety equipment. For example, we settled a case for $650,000 where a big rig had bald tires which failed when the truck hit our client’s car. While that client did receive a good settlement, she had a severely broken leg that required several operations, and she also suffered from serious psychological issues after the crash.